On the way home from spring break in Nebraska, we went through Dallas Center, Iowa, on a perfectly beautiful day. The kids got ice cream cones while I took out my camera. A worker at the complex let me wander around and take pictures. He pointed out the older elevator with the rounded headhouse. This elevator (seen far right in the photo above), built by Tillotson Construction Company in 1955, is connected by a run to the annex, which adjoins a T. E. Ibberson elevator (far left), built in 1967. A grain dryer stands between them. No railway is in evidence, other than the re-purposed station. Everything appears to be in good working order with a fresh coat of paint. The elevators dominate Dallas Center as a true prairie landmark, rising at the end of the main street and extending more than a block, with a library and ice cream shop next door. A blooming redbud tree brightens the scene. Standing before the annex: a veterans memorial. The whole property exists in harmony with the town, unlike the many derelict elevators in Midwestern towns where progress has moved past, and only the wrecking ball awaits. This elevator complex is worth a visit. It’s a beauty. 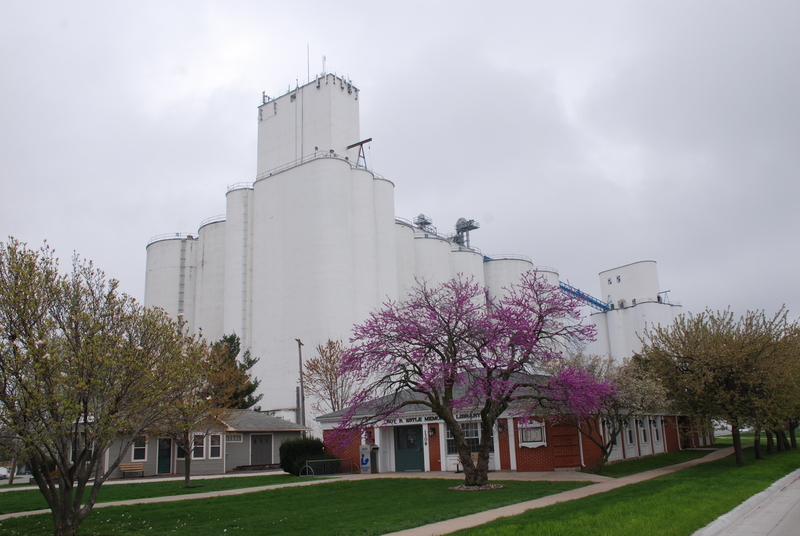 This entry was posted in Reginald Oscar Tillotson, Their Work, Tillotson Construction Company and tagged architecture, construction, Dallas Center Iowa, grain elevator, T.E. 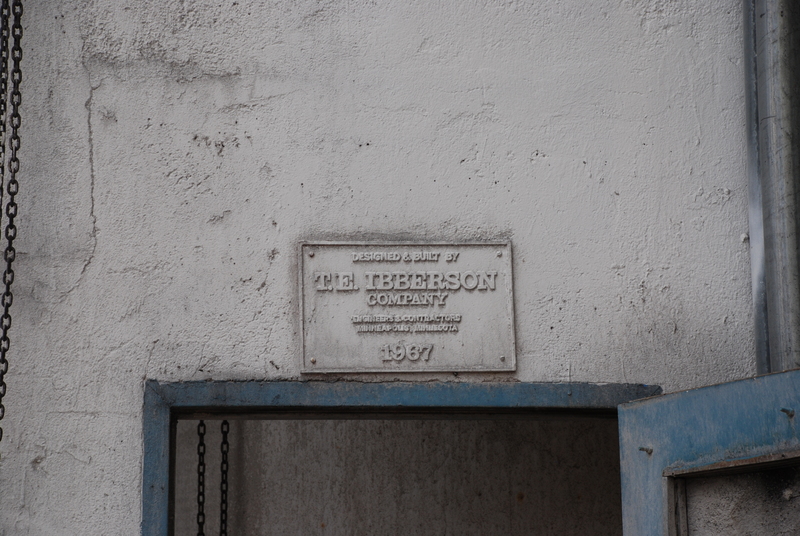 Ibberson, Tillotson Construction.